When you’re faced with the option of buying yet another pair of “World’s Best Dad” socks, think again. Delta Force Paintball has the perfect Father’s Day present that you both can enjoy – a day of action and adventure at any one of our 33 national paintball centres across the UK. If your idea of bonding with your Dad is staring at a TV or communicating via text then it’s time to spend quality time with your Dad this Father’s Day, and what better way than with a full day navigating your way to victory alongside each other on the paintball battlefield. 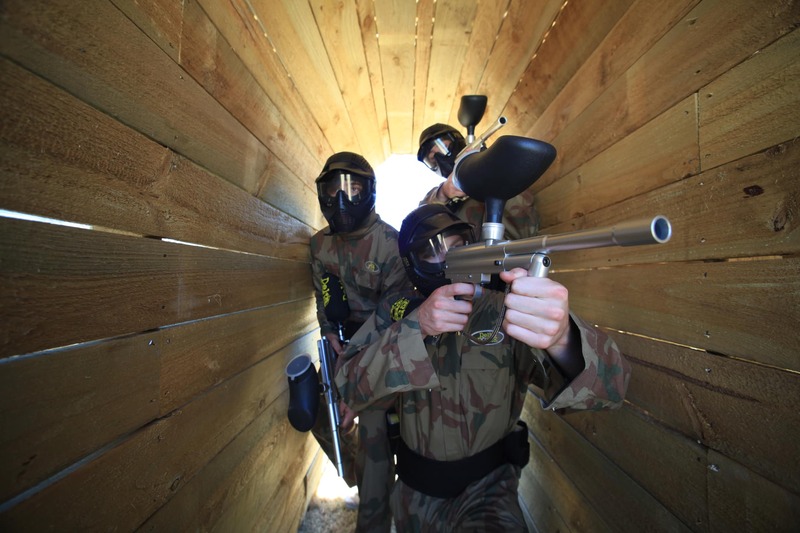 Our themed paintball game zones are ideal for encouraging teamwork and strengthening bonds between mates. Create lasting memories as you team up with your Dad to stop the enemy invasion in the Zombies’ Crypt, or be the ultimate wingman as you lay down strategic cover using our tactical smoke grenades and help your Dad capture the remaining bunker in Counter Strike. Our paintball gift vouchers are a popular choice all year round, and if you’re still looking for the ultimate Father’s Day present it’s not too late to order yours today – we can send vouchers via post or email. Delta Force Paintball gift vouchers can be tailored to suit your budget and we cater for players of all ages. You can choose to include entrance and equipment hire or a more inclusive package for a full day. Recipients have the choice when to redeem their gift vouchers and events can be easily booked by phoning our booking office – we’re open 24/7. Call us now on 0203 869 9301 to secure the ultimate Father’s Day gift!